Just weeks after revealing she may exit print, The Collective Hub’s founder Lisa Messenger has revealed the most recent magazine edition will be the last. Messenger first launched her publication as Messenger Collective in 2013, starting out with advertisers including CommBank, Audi, Mercedes and PricewaterhouseCoopers. She described it as “the Vanity Fair of business magazines”. However, in a Founders University podcast with Pedestrian TV founder Chris Wirasinha two weeks ago, Messenger said she wasn’t sure if the future of Collective was print anymore. “We have a really nice problem, we have a huge highly engaged, hungry, loyal community and following which is something a lot of businesses don’t have. It’s just that how do we take them on a journey with us, how do we evolve, because otherwise, we are going to stagnate. I don’t know if I want a print mag for another six months even, quite frankly right now. This is the first anyone’s ever heard of this,” she said. 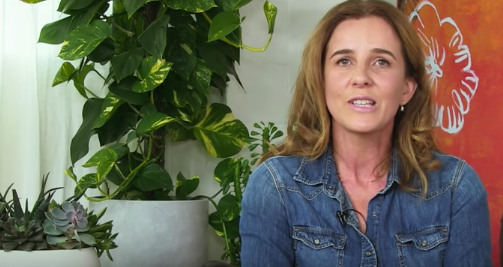 On her website, Messenger said she would continue to share the lessons she had learnt, as well as digital masterclasses, books and special events. An interview with Collective Hub editor Amy Molloy also appears on the website. It discusses the “making and breaking” of the publication and its future. Messenger said while she believed it was “absolutely, unequivocally” the right decision, it had taken her 18 months to make the decision. But she said her decision was “courageous” and “brave”, hoping the closure of the print edition teaches people its “okay to break things, it’s okay to pivot and morph”. Messenger also told Molloy there was a multitude of reasons for the closure, one being they could not get enough advertising spend. “There’s a number of factors and hopefully people can learn from my mistakes. For years, when I had a team of three, prior to launching Collective Hub, i was so embarrassed, I thought that a small team meant that you weren’t successful,” Messenger said. However “largely”, money was an issue. “This is a really important lesson for so many people. And I take full responsibility for this – perhaps we aren’t creating a product that enough advertisers, partners or sponsors actually want to invest in any more – but it has become increasingly hard to attract that kind of money. Messenger said in the interim, she had launched lisamessenger.com, a platform for content such as her books and masterclasses, whilst her attention this year will be on spending time getting out into the community. She is also in the process of creating a new book, Risk and Resilience. In an email note to readers, Messenger added: “You may or may not have spotted the latest cover of our new issue. No image. No colour. Raw, stripped back and bare. 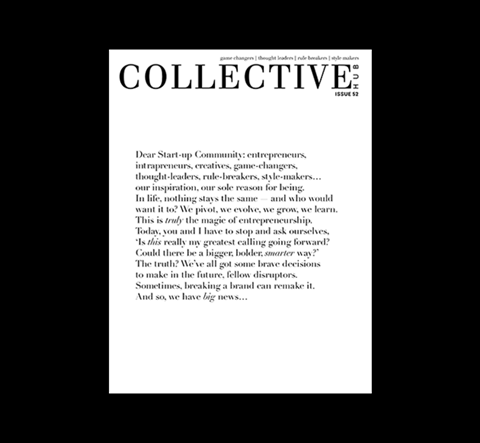 “Instead of a beautiful picture, we printed an open letter to our community revealing huge news about Collective Hub’s future. Our big reveal? This will be the last issue of Collective Hub. “Sometimes, you have to break something you love to remake it. Sometimes, everybody needs to stop and ask themselves – is this my greatest calling going forward? Or, is there a bolder, braver, smarter way to fulfil my purpose? Wishing you all the best for the future, Lisa. And thank you for being brave and sharing this so openly and honestly with your community. As someone who’s been running an online media company for the last 3 years (although, it has to be said, on a much smaller scale than Collective Hub), I’ve experienced similar struggles first-hand. It’s always refreshing to see a leader who isn’t afraid to be honest and say it as it is. What a journey, what a ride, what an incredible achievement, what an adventure. You have achieved so much is so little time, you have met leaders of all types from around the world. You have made an opportunity of every single second in your day. I think you deserve a rest before your next challenge appears on the horizon. All the very best in whatever you decide to do! The issue was that the magazine was confusing. They’d have models on the cover and business content inside. It’s a major credit to her to have lasted so long. But then reading she thinks the magazine was the Vanity Fair of business magazines’ which is just delusional. It was an average/good magazine at best.